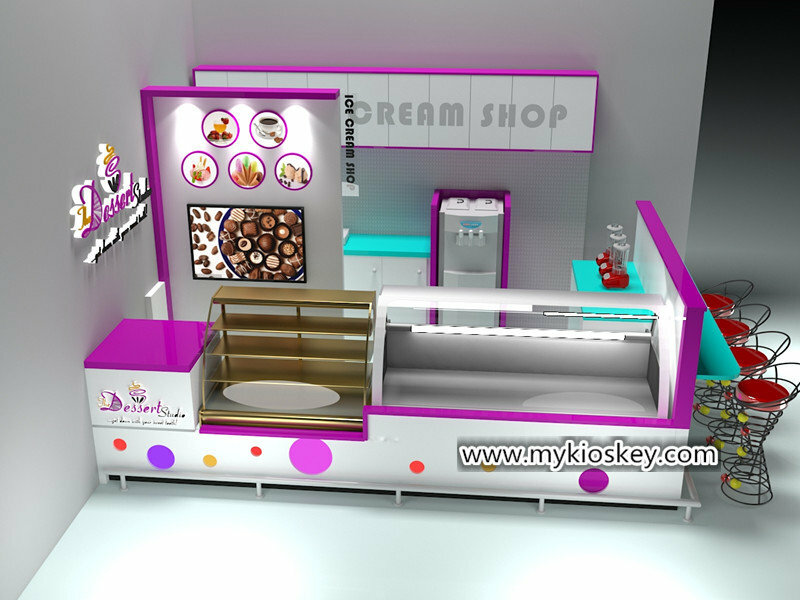 With the fast development of technology,some innovative products and service are becoming more and more popular. VR experience is a a typical example,more and more people are attracted by the exciting and interesting of virtual reality experience. 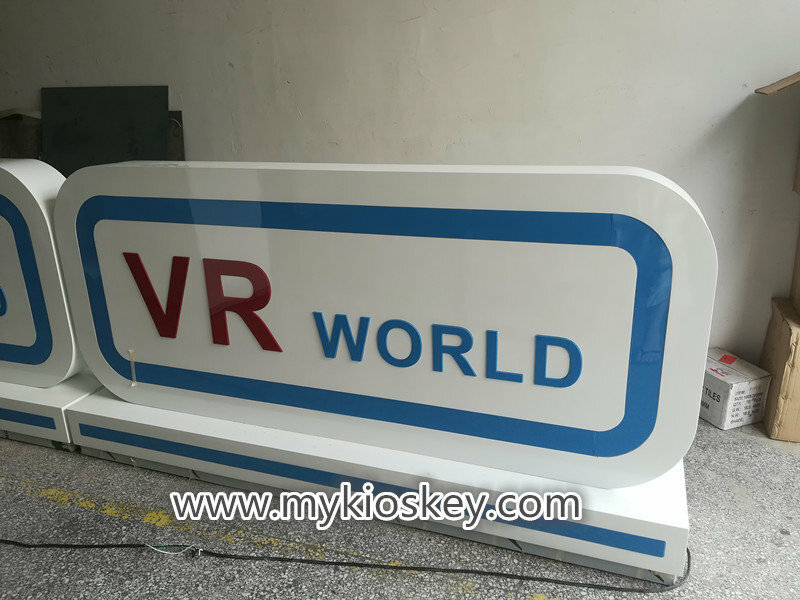 Such as VR racing car,VR movie etc. 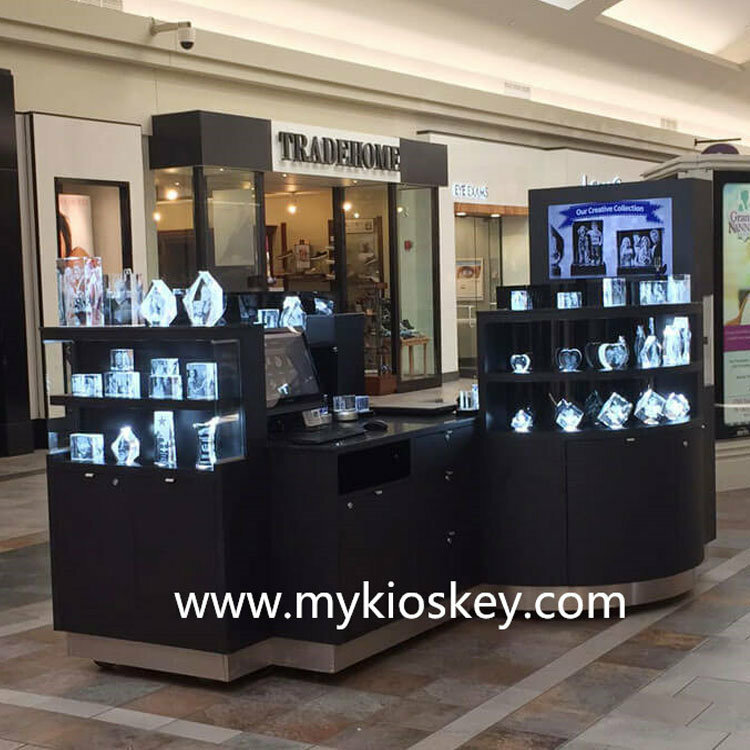 recently more and more customers are asking for VR experience kiosk to open a VR business in mall.yesterday a us customer found me said she want to buy a VR experience kiosk,her location is 12ft by 10ft,and wander if we have some models to share her.workshop has a nice VR experience kiosk just finished to USA,so I shared her.after she saw,she said:wow,your work is so cool.Then we discussed about her detail needs,she asked us go with this model,design as her needs. 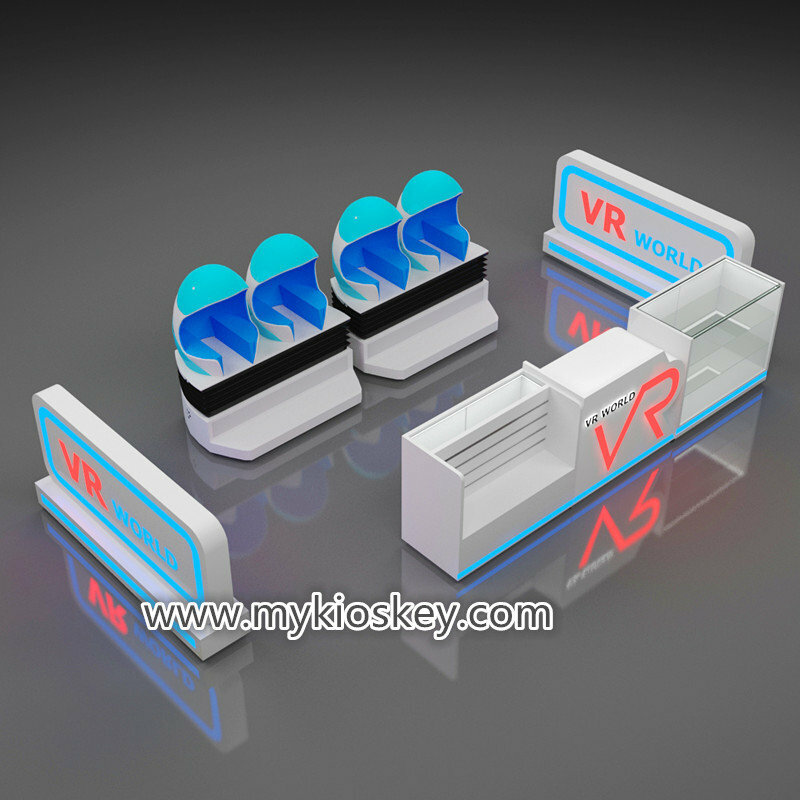 this location size is 6m by 3m,we just loaded to USA last friday.it comes with four VR egg chairs,a cash counter and some VR products displays,total light blue match glossy white,looks simple but very comfortable.light blue led lights match light blue egg chairs,looks very elegant.The big orange VR logo is very eye-catching.isn’t it? do you also ready to begin a VR business? 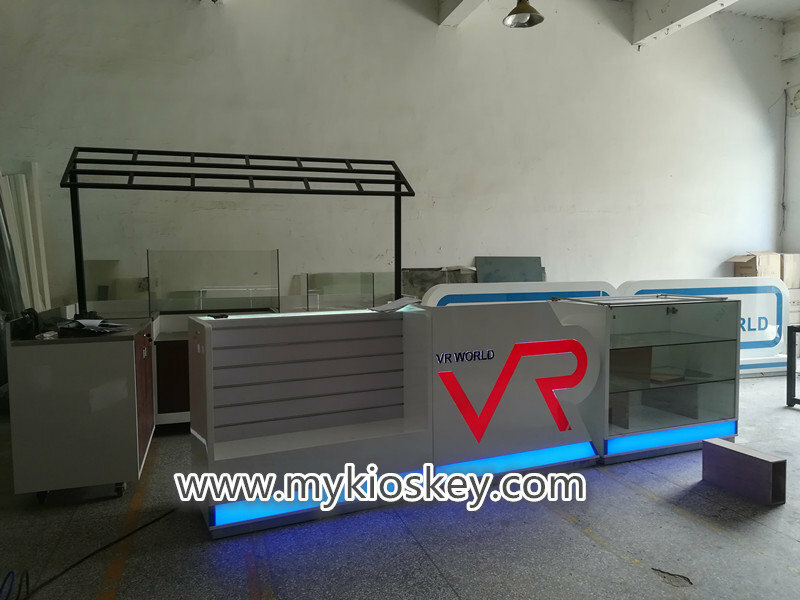 if you also want do VR business,so a nice VR experience kiosk is necessary. 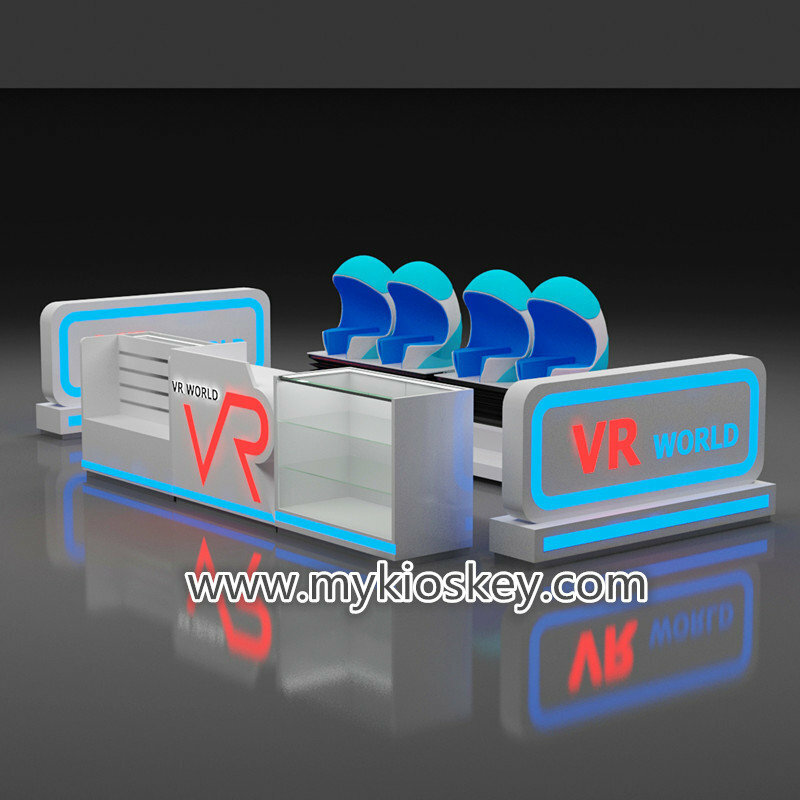 our company have professional design team,so can design your VR kiosk as your needs. 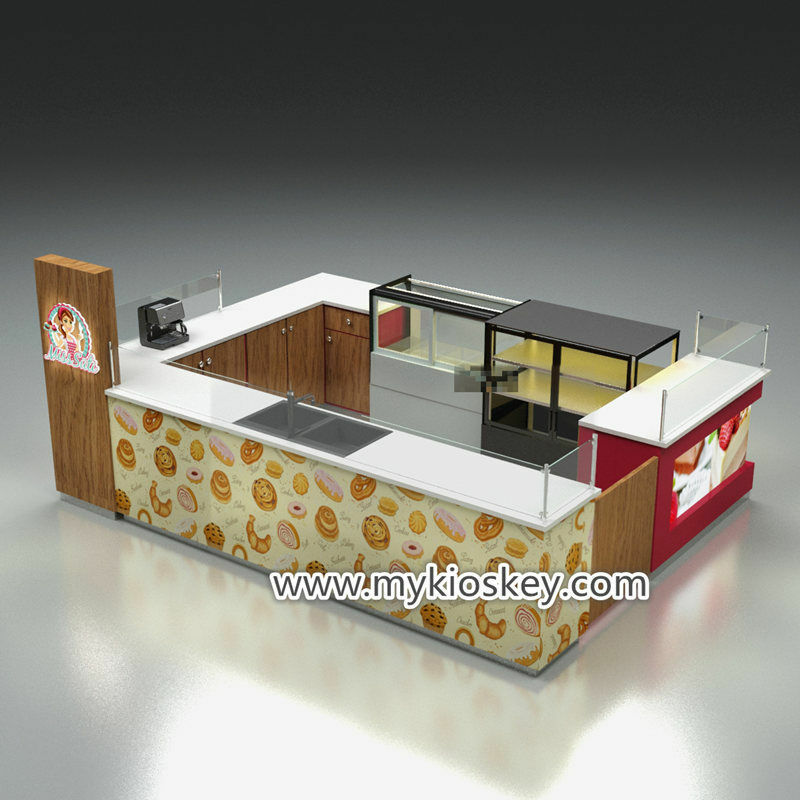 3.How many egg chairs you need?what machines you need? our designer will design your VR experience as your needs.